may take over from Ikpeazu. 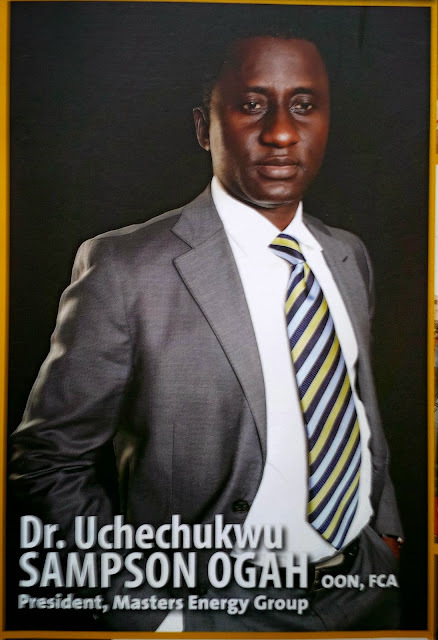 Biography of Uche Ogah.His full name is Uchechukwu Sampson Ogah. He is 46 years old and from Uturu, Isikwuato local government area of Abia state.He was born to parents Mr and Mrs Wilson Ezinne Paulina Ogah. His father was a known sanitary inspector in the area.His educational qualifications include WAEC from Ishiagu High School, Abia state; Higher National Diploma in Accounting from the Institute of Management and Technology (IMT), Enugu state; Post Graduate Diploma from the University of Nigeria Nsukka; Bachelor of Science degree (Banking and Finance) from Ogun state university and a Masters in Business Administration (MBA) from the University of Lagos. Okezie Ikpeazu was sacked by the Federal high court as the Abia state governor. 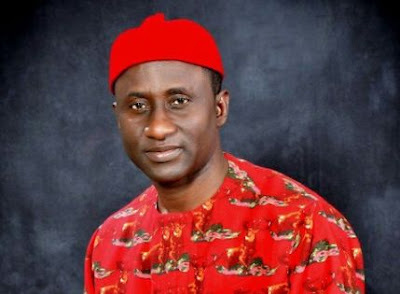 Ogah spent over 10 years in the banking sector,so you could say the economy of the state should be safe in his hands.He voluntarily resigned from Zenith Bank as an assistant general manager before setting up his own business.He is the founder of Masters Energy Group, a conglomerate with over 15 subsidiaries and interests spanning across Oil & Gas, Banking, Insurance, Aviation, Shipping, Dredging, Logistics, Construction, Travel Agency, Power, e.t.c. with over 42,000 workforce. He is reputed to have built the largest gas storage facility in sub-Saharan Africa and fabrication steel yard for upstream, in his home town. 8. He was bestowed with a national honour – Officer of the Order of the Niger (OON) by former President Goodluck Jonathan and also holds an Honourary Doctorate Degree in Business Administration.He is a fellow of the Institute of Chartered Accountants of Nigeria, Institute of Brand Management of Nigeria, Nigerian Institute of Shipping and Chartered Institute of Bankers.He is the founder of Uche Ogah Foundation. The Foundation was primarily set up for empowerment, poverty and education.